The Buddha taught people how to rise above life's suffering. 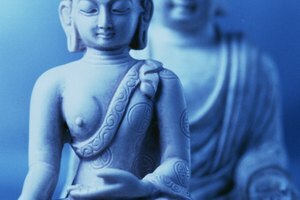 Buddhists believe their religion began about 2,500 years ago, when a prince named Siddhartha Gautama realized he was not very happy with his life. He left his luxurious palace to explore the world and saw four people who changed his life -- a sick person, an elderly person, a corpse and a monk. Siddhartha never thought about pain and suffering until he saw these people, so he decided to search for an end to life's pain. Kids who want to know more about Buddhism can start by learning some of the most important Buddhist beliefs. 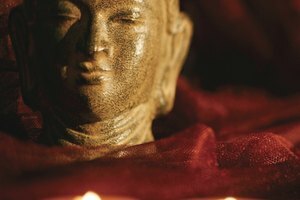 Siddhartha spent years meditating, praying and living as an ascetic. He avoided any luxury in life and took only the bare minimum he needed to survive. He soon came to believe that being an ascetic was not the best way to live. He continued his life as a holy man, wandering around and trying to find an end to the pain and suffering he saw in the world. Buddhists believe that one day, while sitting under the Bodhi Tree -- a huge fig tree in Bodh Gaya, India -- Siddhartha realized that the way to end suffering lay within himself. 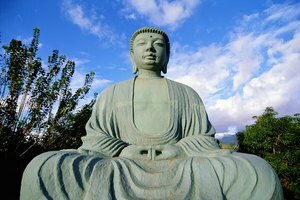 He achieved a state of enlightenment known as nirvana and became the Buddha, or the enlightened one, according to Buddhist beliefs. Today, people make pilgrimages, or journeys, to the Bodhi Tree. 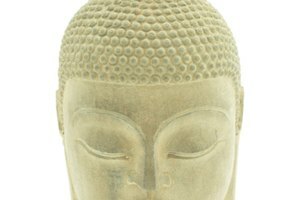 Buddhism teaches that the Buddha realized truths about life and the universe, and saw these truths as a way to escape suffering. The first set of truths are called Universal Truths. The first Universal Truth states that everything in life is going to change. Your friends, family, school, where you live and what you do will all change some day. The second truth states that because everything changes, if you spend your whole life going after material things, such as cars, smartphones or clothes, you will never truly be happy. The last universal truth teaches that there is no unchanging or eternal spirit or self; instead, you are made up of a collection of things and ideas, according to Buddhist teachings. Buddhists also believe in the Noble Truths, which teach people how to cope with the suffering they see in the world. The first truth simply states that suffering is a natural part of life that everyone experiences. The second says that passion or greed for material things causes this suffering. The third teaches that people can find an end to suffering. Finally, Buddhists believe that to find an end to suffering in this life requires following the Noble Eightfold Path, a path of morality, meditation and enlightenment. It also means living in the Middle Way; not a life of an ascetic, but not a life of luxury either. Buddhists try to live by five precepts, or morals. 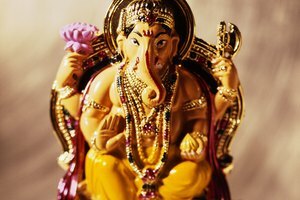 They strive not to harm any living thing, and to avoid lying or gossiping. They refrain from taking drugs or stealing. Finally, Buddhists try to live good lives. Buddhists believe that by following these rules, they will be able to live happy lives and avoid worrying about the things that do not truly matter. Ultimately, their goal is to alleviate suffering. Karma is the idea that the good actions you do will result in good things happening to you, and that the bad ones lead to bad things happening to you. For Buddhists, this does not just apply to this life, but to the next life too, because they believe that once people die, they are reborn into another life. Bad karma can follow people to the next life, Buddhists believe. They may be born into a bad state, such as an animal, or in a world with even more pain. The ultimate goal of Buddhists is to escape this cycle, and to leave the process of dying and being reborn. 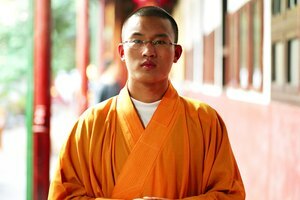 How Do the Buddhist Monks Pursue Enlightenment? Peckinpaugh, Timothy. "Buddhism Beliefs for Kids." 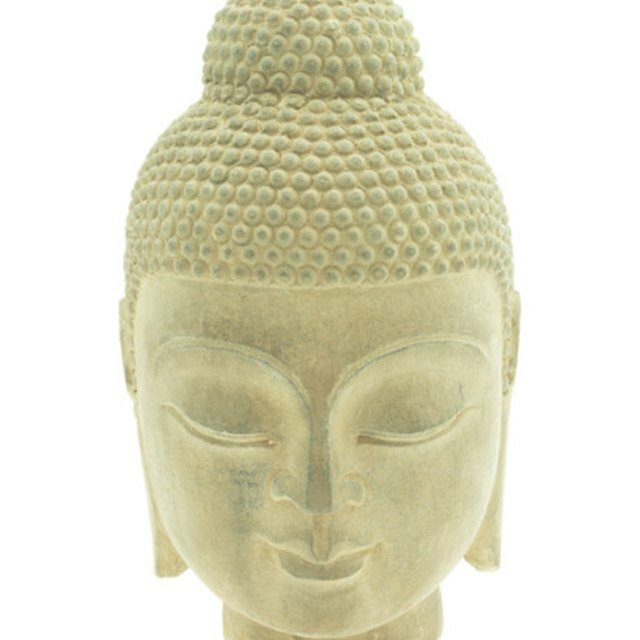 Synonym, https://classroom.synonym.com/buddhism-beliefs-for-kids-12086401.html. 29 September 2017.